WEST HOLLYWOOD, Calif. -- An 89-year-old woman who was best friends with her 31-year-old West Hollywood neighbor-turned-roommate died Wednesday morning. 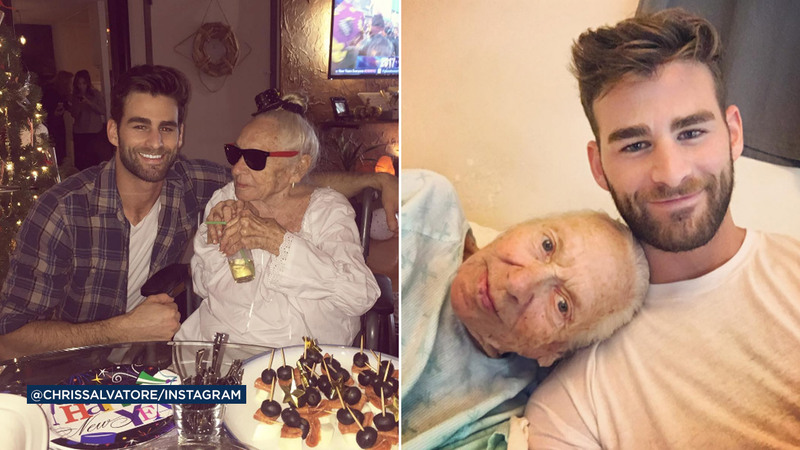 Chris Salvatore posted a photo of his best friend Norma Pattavina on Instagram with the sad news. "It's with a heavy heart that I share the news that earlier this morning the world lost a truly inspiring, beautiful woman," he said. Pattavina and Salvatore's friendship blossomed five years ago, when he moved in to a West Hollywood apartment next door to her. He waved hello and a few days later she invited him over for some champagne. The pair became so close that Salvatore often posted their adventures on social media with the hashtag #MyNeighborNora. She had recently battled cancer and after a 3-month stay at the hospital was sent back home, but she needed 24-hour care. With no family in the state and a GoFundMe account low on donations, Salvatore offered to have Pattavina move in with him to care for her. "Norma reminded me that we all are created to love and all desire to be loved," he said in the Instagram post. "Each of us is loveable even with all of our differences. Love has no boundaries. May you rest in peace my sweet sweet lady, Norma."